As you can see, there is very little variation between the different airlines. Full “Y” fares are regulated in China, so the only difference that you will typically see is in the taxes based on the routing you choose, and this is negligible. However, what if I said you could book the very same flight for about 1/3 the price if you did something a little differently? I’m guessing you’d be interested. The key is to use a Chinese Web site to book the fare. These can offer discounts that simply aren’t available anywhere else. How big a discount? You can save up to 80% by booking with a Chinese Web site and paying in the RMB currency. Of course, Chinese Web sites can be difficult to use. Many of them, such as Qunar, aren’t available in the English language and can’t accept any method of payment other than direct debit from a Chinese bank. Others, such as Ctrip, advertise fares that often aren’t actually available for booking, so you end up having to rebook over the phone at a higher fare. And finally, if sites actually allow you to book a fare and do accept foreign cards, there is often a 3% surcharge. Elong falls into this category. If you are comfortable flying with Air China, their local Chinese site works best with non-Chinese credit cards, there is no surcharge for foreign credit cards, and their English-language Web page works relatively well. You even get a 10 RMB discount for booking online. Oddly enough, I can use their site just fine with my Capital One credit card, but it doesn’t work correctly with my Chinese-issued UnionPay credit card from ICBC. Air China is a member of StarAlliance and offers some form of mileage credit with most of their fares (note this is not the case with China Eastern and China Southern, which exclude most discount fares from any mileage earning with SkyTeam partners). The local sites for China Southern and China Eastern are there for you to try, but I have never successfully managed to book anything with them. As you can see, the fare is slightly more than 1/3 the price advertised on Orbitz (note that airfares in China do not include taxes and fuel surcharge, which adds 170 RMB to the total). 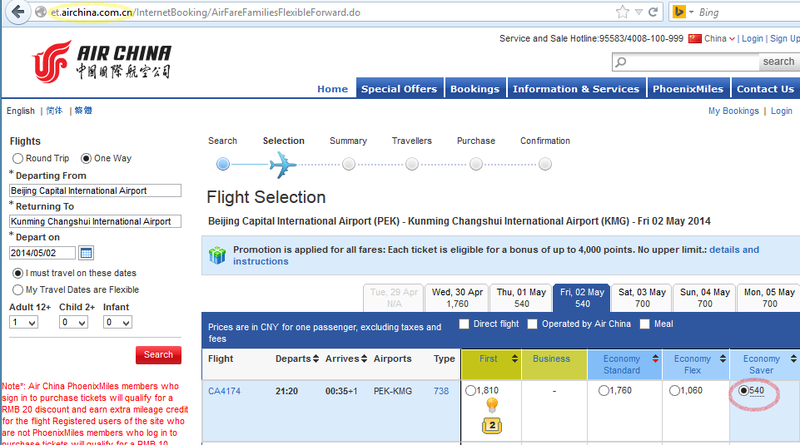 Booking directly through Air China comes in around 1/3 the price. If you find that booking tickets for domestic Chinese flights online is too much of a task, you’ll find offices of CITS and other travel agencies in many locations throughout Chinese cities. Most airlines also have a city ticket office. Online fares are usually a little cheaper than booking through an in-person travel agency or airline ticket office, but the savings usually amounts to about $5 (if even that). It can sometimes be cheaper to buy a ticket through a travel agency versus booking directly through the airline, because travel agencies often buy discount seats in bulk and resell them. 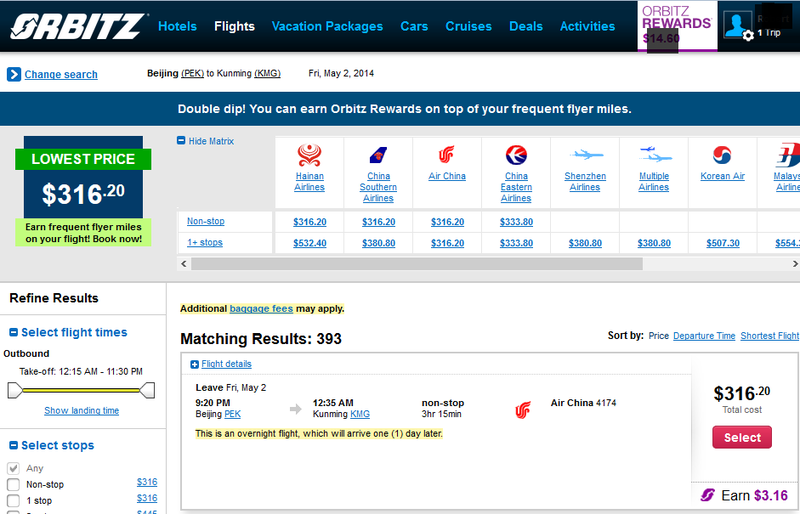 One final thing to note: the farther in advance you book Chinese domestic flights, the more they will usually cost! However, flights completely sell out very often, especially around holiday periods. If you wait until the last minute to book, you may find that there are no seats available at any price! One of the best kept secrets for flying between Europe and Asia is the Russian flag carrier Aeroflot. It’s not only the average least expensive carrier, it’s also one of the most convenient, depending upon the airport from which you’re departing. How much less expensive and how much more convenient? On a recent flight I took from Zagreb to Beijing, Aeroflot was by far the fastest way to get there and, at around $500, the flight was $150 less than the next cheapest flight (via Qatar). 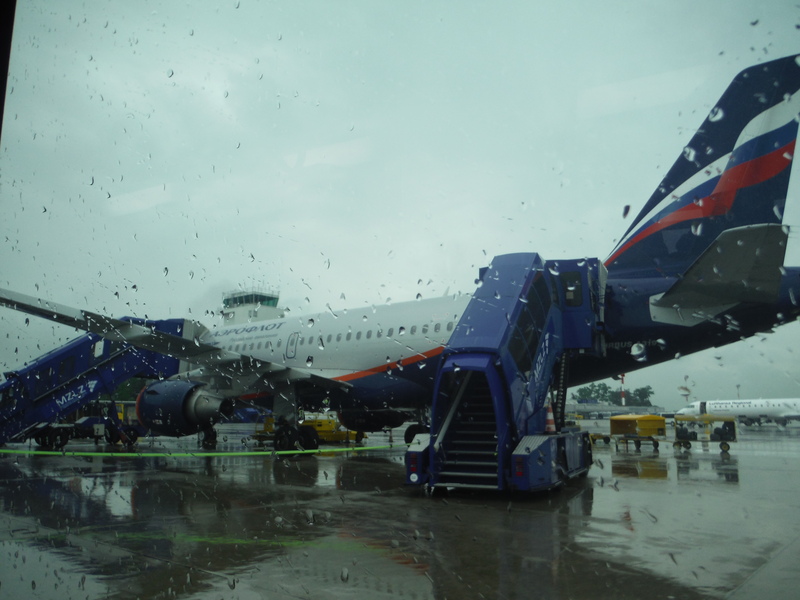 There are sometimes other cheap flights–for example on the Polish flag carrier LOT–but Aeroflot has been the most consistent bargain in my experience. Yeah, you might say, but it’s Aeroflot. The formerly crash-prone, formerly Soviet airline whose logo still bears a hammer and sickle. And if you’re going on Aeroflot, you have to fly through Russia, a country which requires a visa for nationals of most countries. And by the way, Russia just invaded Ukraine! All of these are valid points, some of which are entirely rational and some of which no longer apply. 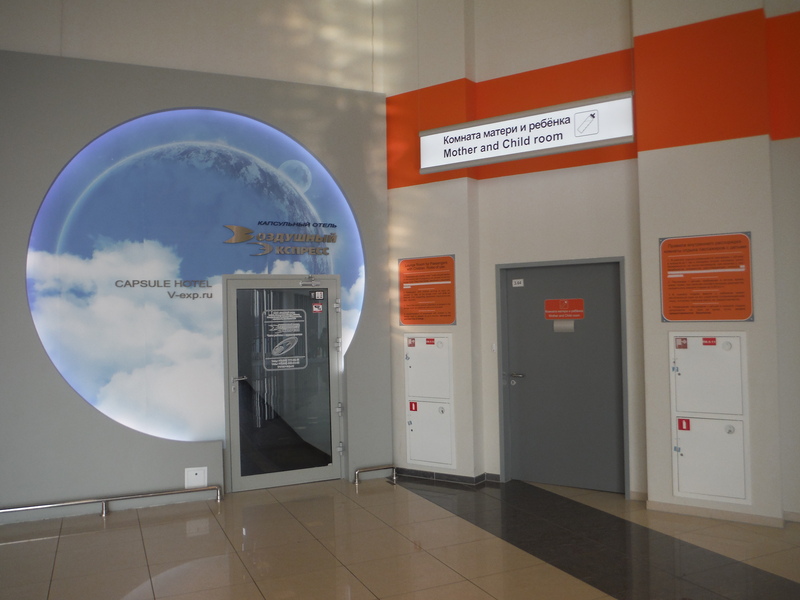 If you’re flying through Russia, you don’t need a visa if you will not leave the sterile area of the connecting airport (in the case of Aeroflot, Sheremetyevo Airport). When you land, don’t go the passport control area; follow the signs to the transfer desk. The Russian authorities will run an INTERPOL check on your passport and then direct you through to Russian airport security. My US passport was no problem despite recent US sanctions against Russia. Also, even though Russia just annexed part of Ukraine, security at the transfer area of the airport was pretty lax. The Russians seem to trust the competence of security in EU airports. Sheremetyevo is not Schiphol, and although it’s a more comfortable airport than Domodedovo (the other Moscow airport), it’s not the most comfortable for layovers. Two transit hotels are available, but they are absurdly expensive as is everything else at the airport. Depending upon what you buy, you’ll pay 3-7 times as much as you would elsewhere. My layover was 4.5 hours and I ended up spending about $50 at the airport in between food and the pharmacy (it would have been about $20 otherwise). Free WiFi is available in many parts of the airport but not everywhere. Look for the Sheremetyevo Free WiFi and Beeline Free WiFi IDs. Sheremetyevo Airport is basic and functional. So, how about the safety and the service? I flew on newer, modern Airbus and Boeing aircraft. These are maintained well according to international standards. Aeroflot is a member of the SkyTeam alliance. I accrued my mileage to SkyTeam partner Delta, and it posted to my SkyMiles account exactly as advertised within a week. This didn’t happen correctly on my last flight with Aeroflot (when I was stranded in Moscow overnight and rerouted on KLM for the final segment) and I had to fight to get my points, so I was careful to keep my boarding passes until I saw the miles post. In-flight announcements were made in English, Russian and Chinese. Interestingly enough, the Chinese-language announcements (made by a native Russian speaking crew member) were almost flawless, but the English-language announcements were difficult to understand. 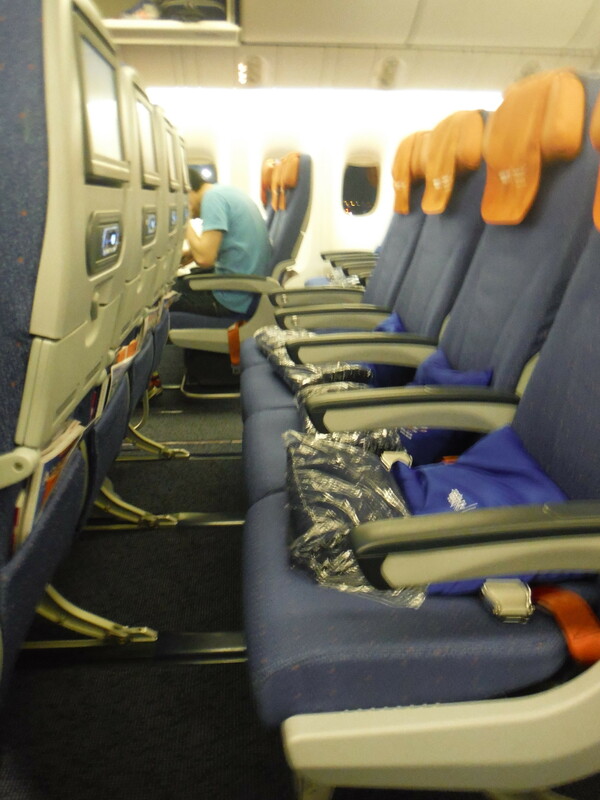 Economy class cabin, Aeroflot Boeing 777. Aeroflot has improved the beverage service since the last time I flew them, but the food wasn’t as good this time. In economy class on the short-haul flight (Zagreb to Moscow), we were served a platter of cold snacks. An almost identical platter of cold snacks was served for breakfast before landing in Beijing. 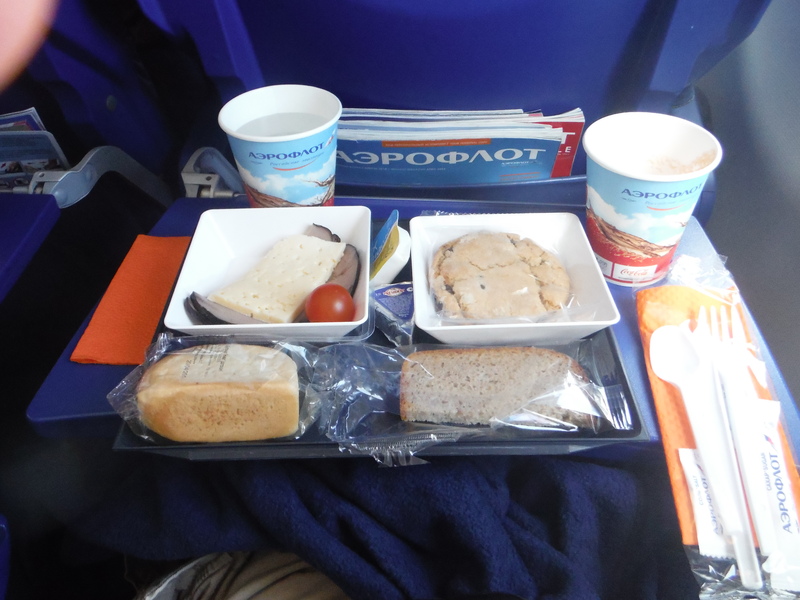 The hot meal was served about an hour after takeoff from Moscow, and there was a choice of chicken or fish. I am allergic to some fish, so I chose the chicken option and wasn’t very impressed. Aeroflot was trying to do an Asian-style chicken but they should stick to Russian food, which they do much better. The fish entree looked much better. Aeroflot breakfast served before landing in Beijing. Beverage service used to be very odd; no alcohol served at all, and beverages were served only before the meal (none during or after). So, you’d drink your whole beverage and then be thirsty after eating. The beverage service has changed so that now red and white wine are offered with dinner (and only during dinner). Shortly after dinner was served, the crew came through the cabin offering hot beverages and water. The in-flight entertainment on Aeroflot is some of the best that you will find anywhere. From the new 3-D maps to Russian propaganda (thinly veiled as news and documentaries) to the latest Hollywood movies, you’ll find something to enjoy. The system is fast and responsive and I was very pleased with nearly every aspect except the control box under my seat! If you choose an aisle seat, do so at either end of the middle row, not the aisle seat nearest the window. Overall, I believe that Aeroflot still represents exceptional value and–as of today–there is little impact from US sanctions on Russia. Transit is still allowed through Moscow airports for US passport holders without any visa and with minimal hassle. The biggest problem so far is that Aeroflot currently cannot accept US-issued credit cards because the bank they use has been cut off from US banks. If you want to book with Aeroflot you’ll need to do so through an online travel agency (I use Orbitz, which typically shows the same fares and books into the same fare classes as booking with Aeroflot directly). Should you fly Aeroflot? I consider it a little risky to book right now, because of the political headaches that could occur. However, if you’re traveling soon, the risk is probably low–sanctions generally don’t happen overnight and without a lot of prior warning. The inflight service is good, flight safety meets international standards, and the planes are comfortable. For the price, Aeroflot value is awfully hard to beat! I have written before about flying Aeroflot, and how doing so can represent an incredible value versus the competition. This is particularly true traveling between Aeroflot destinations in Europe and Asia. 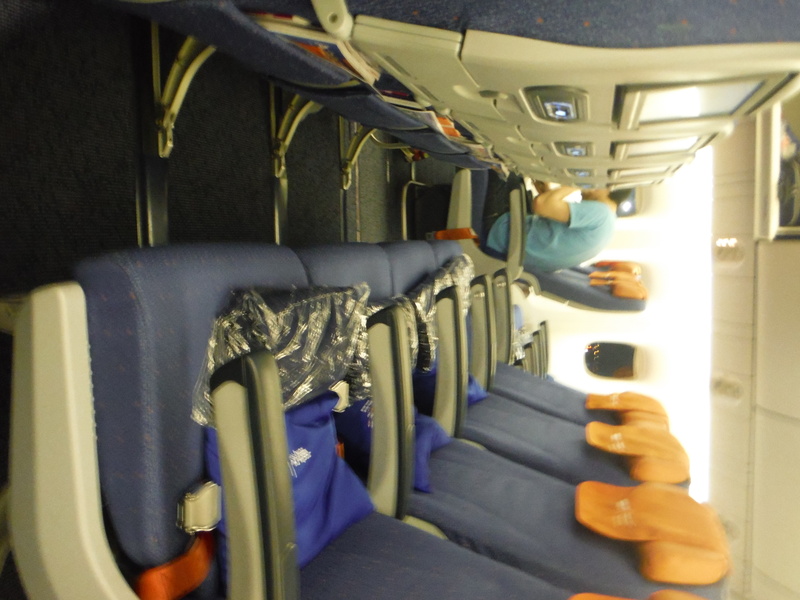 Although Aeroflot codeshares on a number of flights, the best values are on flights where they offer their own service. However, as I have written before, there isn’t much help available along the way if anything goes wrong. You’ll pretty much have to wing it. I flew yesterday on Aeroflot from Zagreb to Beijing, and I’m pleased to report the service is still surprisingly good in economy class. The flight was on a combination of new, modern Airbus A319 and Boeing 777 aircraft. Service on the short-haul segment was similar to other full-service intra-European carriers. 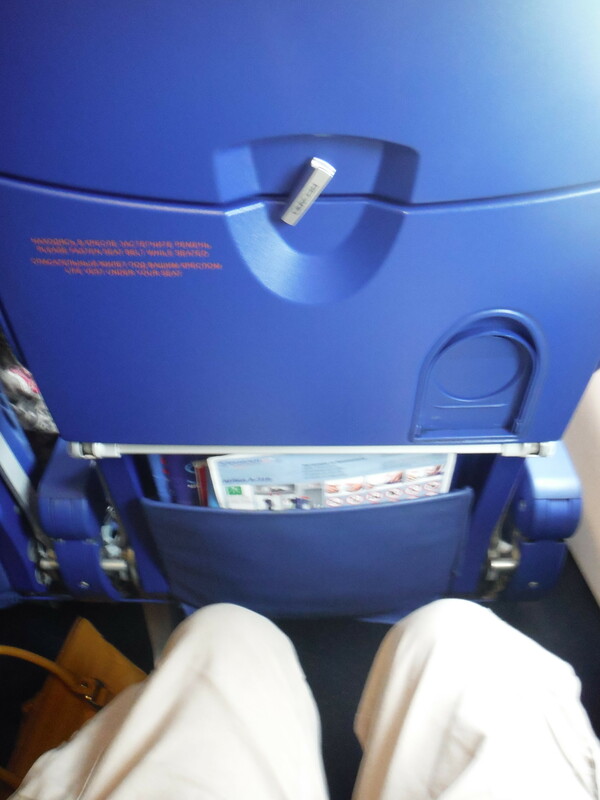 The seat pitch was comparable to other airlines and a pretty generous snack was served. 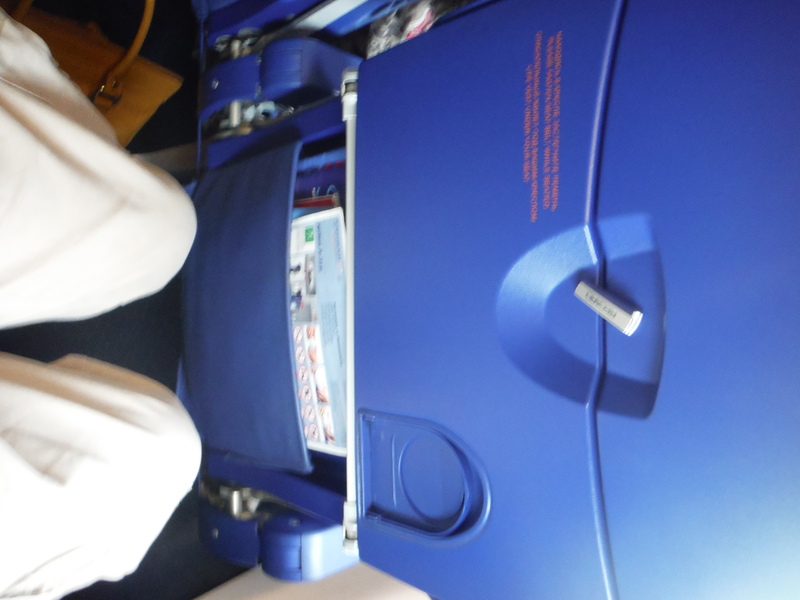 Seat pitch on the Aeroflot A319 was very reasonable. Aeroflot cold snack, economy class. This was served on a 2 1/2 hour intra-European flight. Overall, a very nice and pleasant flight and I didn’t have any problems. Those started after I landed in Russia. Shortly after arriving at Sheremetyevo one of my feet began itching like crazy, almost as if I had been bitten by an insect. I finally stopped at a comfortable part of the terminal to have a look, and was shocked to discover a sudden, extremely nasty infection literally eating a hole in the bottom of my foot! That explained the itching. I felt around the wound, squeezed it, and a nasty glop of bloody pus squirted out. Obviously, I needed to immediately get this looked at, but I was stuck in a Moscow airport with no visa. This could get awfully interesting. 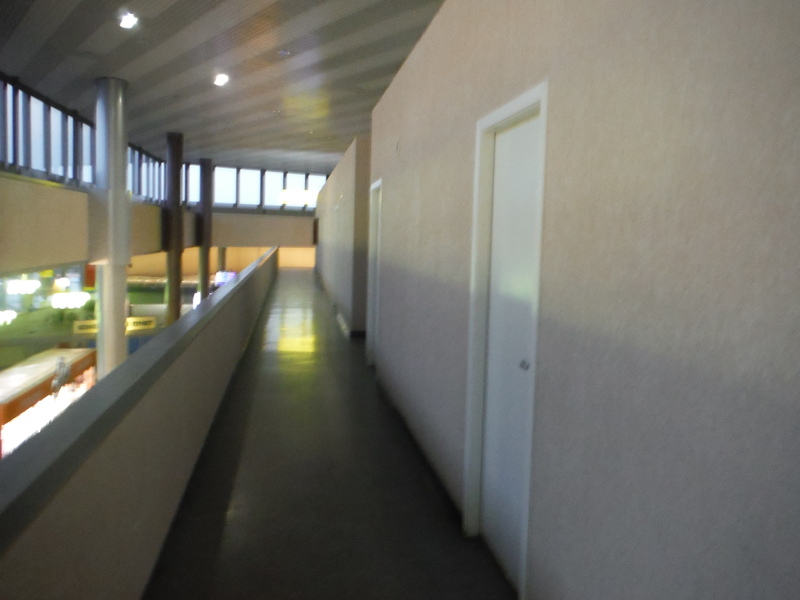 I was in Terminal E and followed the signs to a First Aid room, which is adjacent to the capsule hotel and mother’s room (a free quiet room for nursing mothers). Sheremetyevo First Aid is theoretically to the left of this door. Unfortunately, First Aid only exists in theory. There is a sign posted on the door in Russian that includes an emergency contact number, and another sign in both English and Russian says “Pharmacy in terminal D near gate 28.” It looked like the pharmacy was my best bet, so I headed to Terminal D.
I eventually found the pharmacy, but all of the products were labeled in the Russian language and the pharmacist couldn’t speak English. Eventually, almost in desperation, I sat down, pulled off my disgusting and bloody sock, and squirted some more pus out of the wound in my foot. The pharmacist gave me what is quite possibly the iciest, coldest Russian look that ever was. She frowned, said “Antiseptic!” in a deep voice reminiscent of Natasha Fatale, and then immediately sprang into action pulling various stuff out of drawers. $30 worth of gauze and bandages and wrap and some gloopy antibiotic paste later (the prices seemed about 7 times what I’d pay in the US or anywhere in Europe outside of Norway) the pharmacist showed me what to do. First, squeeze the wound until nothing but a little blood and clear fluid was coming out. Next, apply Dettol a few times (which turned the itching into some serious stinging), and let it dry each time. Next, apply the gloopy paste. Finally, cover the whole thing with a bandage, and wrap the bandage in gauze to hold it in place. Through a now-familiar game of International Charades, I understood that I was to repeat the process, changing the bandages, 3 times every 2 hours. After that, it wasn’t clear what I should do, but that would at least get me as far as Beijing. Somehow, all of this hadn’t killed my growing appetite. 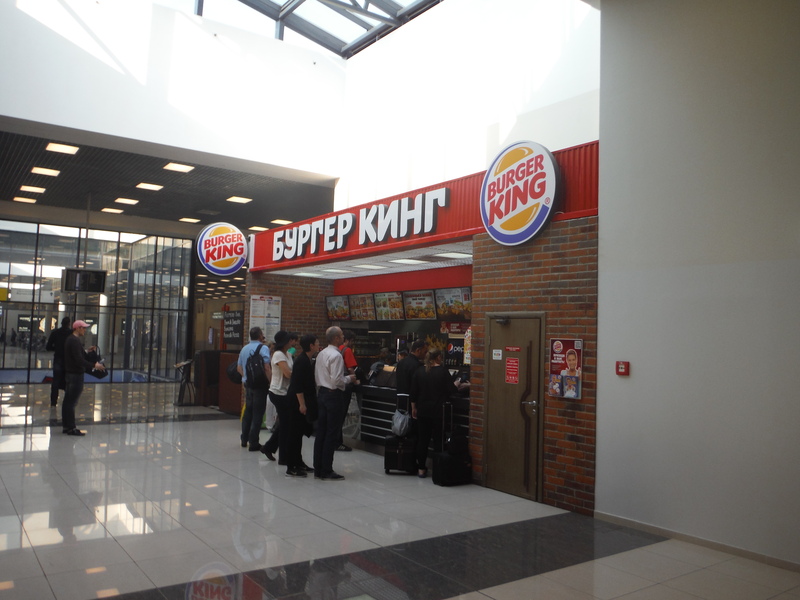 I hadn’t had lunch before boarding my flight in Zagreb, so I went to Burger King in Terminal E. In keeping with the inflated prices at the pharmacy, it cost me $21 for a simple meal. Sheremetyevo is definitely one of the most expensive airports in the world. 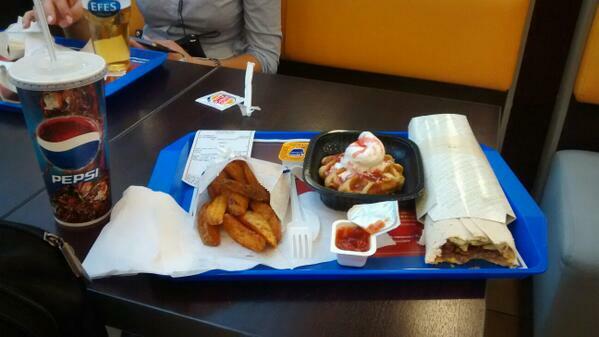 The most expensive Burger King in the world? Lacking any better ideas, I followed the seemingly-sensible instructions from the Russian pharmacist during my flight to Beijing. Fortunately, they worked! After I landed in Beijing, the infection was basically gone and the wound had scabbed over. Medical emergency averted. I have spent the last two weeks in Zagreb, Croatia. While most of my trip has been for business, I have had the opportunity for some personal travel as well. It’s about a month before the tourist season begins here in Croatia, so good deals are available on rental cars. One of my favorite sites for booking discount rental cars in Europe is rentalcars.com. All the rates are prepaid and include basic insurance, so it’s relatively easy to avoid upsells. You can also see the rental car agency you’re using, which is different from sites like Priceline that don’t show you that. Better yet, the discounts they offer are sometimes astonishing, at 50% or less of the regular published price. Unfortunately, if you use Enterprise in Croatia, there is some fine print in the contract that is really limiting. They don’t allow you to travel to Serbia, Bosnia or Montenegro, all neighboring countries, unless you pay an additional 50 euro. This is simply a shakedown because the policy already includes coverage in these countries; they just won’t give you the insurance “green card” to prove it so you can’t get the car across the border. You can supposedly get around this by making a 10,000 euro deposit. I would have done this, but the Capital One credit card I used for this particular rental doesn’t have that large a limit (it’s irritating, because almost every other credit card I carry does). I hate rental car scams and I hate being told I can’t go somewhere. I was determined to get to Bosnia, so I found a loophole. Dubrovnik, Croatia is an exclave and is only reachable via Bosnia through an area known as the “Neum corridor.” If you travel on this route, the Bosnian authorities do not require you to have a “green card” proof of insurance in order to cross. This presented an opportunity, so earlier this week, I made a Bosnian border blitz in order to experience a small slice of a rarely visited country. The roads in Croatia are excellent, though expensive. It costs about $40 to travel from Zagreb to the Bosnian border. It’s easy to see why; the quality of the roads is similar to that in Switzerland and the route traverses some very challenging terrain. I passed through at least a dozen tunnels of varying length, some up to 2km long. The motorway route isn’t as spectacular as the old route along the coast (or so I’m told), but it was spectacular enough to me. Tall mountains tower over a stark arid scrubland, something that I didn’t expect to see in this part of the world. Roughly halfway, there is a mountain-crowned lake so spectacular that it would be a bustling national park in the United States, but appears to be a simple Croatian holiday village. Finally, I reached the border with Bosnia. A car in front of me was from Montenegro. The answers the driver gave were clearly unsatisfactory because, after a long delay, the car was directed aside and border guards started searching it very thoroughly. My experience was better. “Where are you going?” asked the officer. “Dubrovnik,” I said. “Only Dubrovnik?” he replied, to which I replied “Yes.” He asked “Why do you travel to Dubrovnik?” I replied “Because it is beautiful.” He handed back my passport, smiled, and said “In Dubrovnik the women are beautiful! Now talk to my colleague, he is Bosnian police.” I pulled forward to the next window, where a sour-faced guy scanned my passport into his computer. I asked whether it was possible to stamp my passport, and he handed back my passport saying “No. Now you go out.” I wasn’t interested in arguing the point, so I continued into Bosnia. 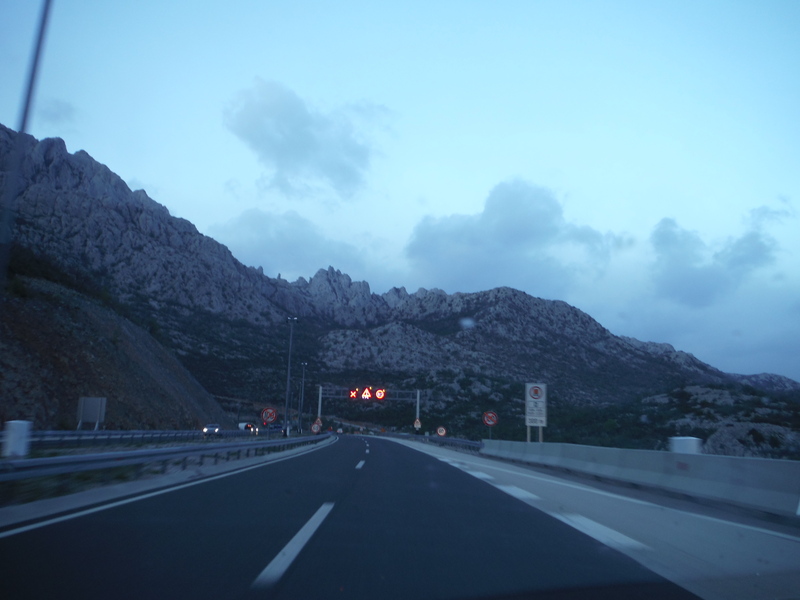 I had been warned by Croatians that the road would be terrible in Bosnia, but it wasn’t. One thing that I did think was very interesting was that the road signs had spray paint all over them, clearly obscuring something I couldn’t make out in the dark. However, the path to Dubrovnik was clearly marked. I drove into Neum, stopped at a restaurant for a bad and very expensive dinner where I got ripped off on the exchange rate, and then found an ATM to get some local currency, the Bosnian mark. 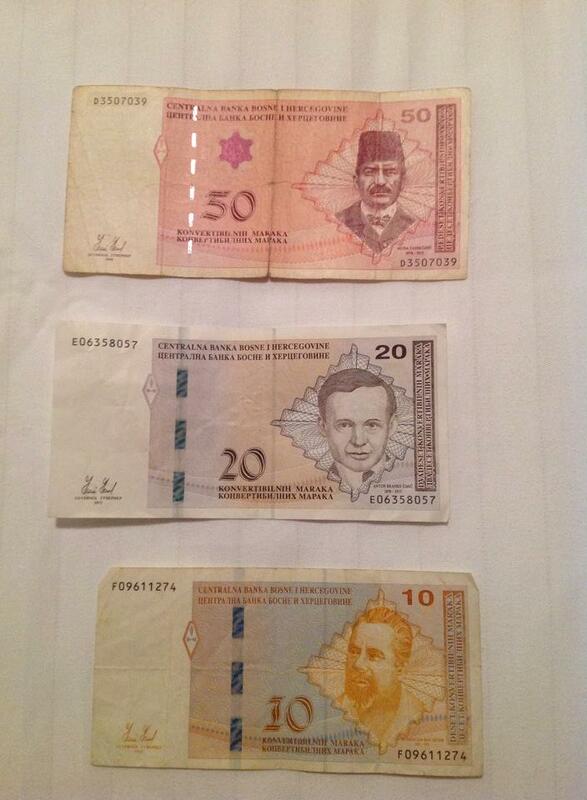 Bosnian marks worth about 40 euro. After my bad experience at dinner (don’t order the “Pirate Style Kebabs”), I wasn’t sure what to expect when it came to finding a hotel. However, I was tired and wanted to find somewhere to stay. I drove past the largest hotel (which I assumed would be expensive), and eventually came across a small boutique 3-star hotel called the Hotel Villa Nova. The office wasn’t open but a sign in the window said “we are downstairs,” so I went downstairs and the owner came out. Yes, a room was available, but without breakfast because I would be the only guest. Accordingly, there would be a small discount. The price was 30 euros, would I like to see the room? Yes, I wanted to see the room. Rooms in Dubrovnik cost at least 3 times that. I had a look and everything was very clean and exactly in order. The hotel caters to Swiss and German visitors, who have very high expectations when they travel. All of the facilities were exactly as I would expect for a 3 star hotel and you can even drink the tap water. My room had a very nice balcony, comfortable bed, and the wireless Internet worked well. Basically, it’s exactly what I would expect of a property that caters to very particular Swiss visitors and it was almost frighteningly clean. Best of all, a spectacular view awaited me in the morning. After checking out, I went to the post office to mail postcards home, and then to the gas station to fill up the car. There are two gas stations in Neum, but the one closest to the center of town has the cheapest prices (by about 20 eurocents per gallon). Unfortunately they only take cash and they rip you off on exchange rates if you don’t pay in Bosnian marks. Fuel is about 30% less expensive in Bosnia than in Croatia, so I definitely wanted to take advantage. I used up the remainder of my Bosnian marks which got me to about 3/4 tank, but I figured that would be enough to get me to Dubrovnik (it was more than enough; I topped off the tank to 100% on my way back to Zagreb). Heading south toward Dubrovnik, I noticed why there was spray paint on the road signs. The Bosnian government apparently uses both Roman script and Cyrillic (in a nod to the Bosnian Serbs). 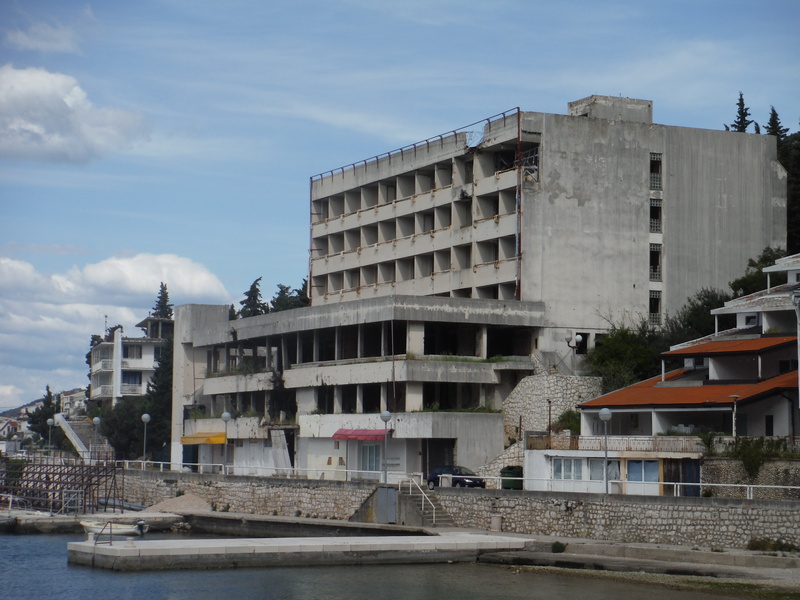 Cyrillic script is thoroughly unacceptable to the local population, who are ethnically Croatian, so every trace of Cyrillic has been meticulously blacked out throughout the entire Neum corridor. This part of Bosnia was not spared the violence of the Serbian-Croatian war in the early 1990s, and even physical scars remain. The psychological ones will take longer to heal. 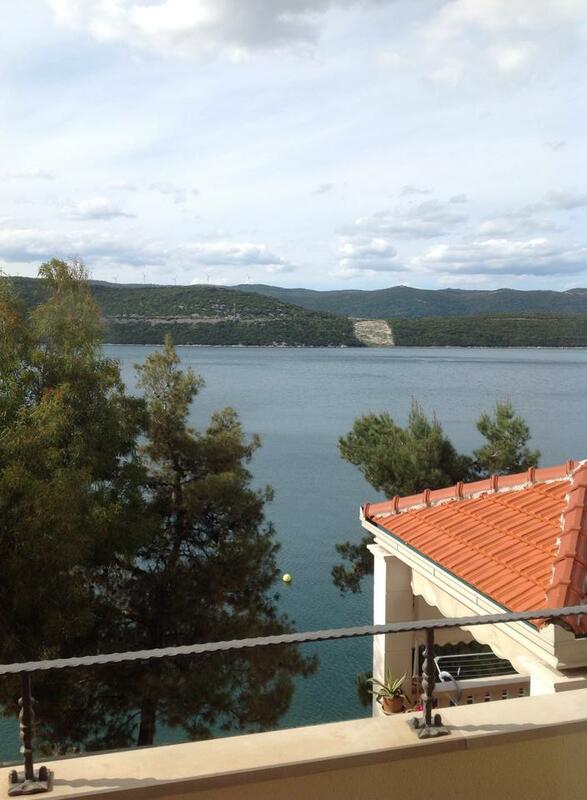 If you’re faced with unreasonable restrictions from your rental car company, consider a visit to Neum if you’d like a taste of Bosnia. It provides a very affordable alternative to expensive accommodations in Dubrovnik, and is only an hour away. Business and first class award tickets are a great use of miles, but it’s almost impossible to actually redeem these awards. Don’t believe all of the stories you read online about being able to effortlessly redeem your miles for a luxury experience. It is sometimes possible if you really work the system, but the time and effort involved is why I have always focused on using my miles to take me to faraway and interesting places in economy class (it’s all economy seats to Ushuaia, Argentina and Adak, Alaska anyway). Unfortunately, one of the most useful options for grabbing business class award seats is, for some customers, now gone in the American Airlines Aadvantage program. One of the particularly nice historical Aadvantage program features is the lack of change fees and the ability to make “mixed class” bookings. So, for example, if you are booking a long trip that you’d like to take in business class, but one segment is only available in economy, you can book the missing segment in economy class (while paying the business class award price) and call in later to upgrade that segment to business class if an award seat opens up. The same goes for changing award classes. If you book an award in economy class because (as is usually the case) it’s the only thing available, and you find business class space available later, you could call in, upgrade and pay only the mileage difference between the award classes. This is what I planned to do when booking an award from Kunming to Hong Kong to Los Angeles to Vancouver to New York. The difference in cost is only 20,000 miles for this itinerary, and it’s well worth it for business class on Cathay Pacific. This has all changed if, as I do, you have an existing booking that includes a stopover in the North American gateway city. Even if you don’t change anything except the class of service, the award has to be reissued at the new mileage rates and under the new rules. This is yet another change that Aadvantage has suddenly made without prior notice or even any “grandfathering” provision for award tickets issued prior to the change. So, the precedent has now been set. You’d have to be crazy to book a “mixed class” award now. If American changes the award chart or rules again, you will have to “buy up” to the then-current price and be subject to the then-current rules. Given that it is routinely necessary to book business class award seats 330 days in advance, booking a “mixed class” itinerary is a very risky bet. The situation could be even worse than I have already been able to confirm. American Airlines has always been flexible with changes to dates and flights in the Aadvantage program, and charges are free as long as the origin and destination cities remain the same. It is possible in the future that changing the dates on an itinerary would also require “buying up” to the then-current price. The trigger seems to be whether the ticket is reissued or not. Changing dates while keeping everything else exactly the same does not always require reissuing the ticket. Making more substantive changes (such as switching a flight with a connection for a nonstop) may, and could cause the itinerary to re-price. It is also worth noting that US Airways, unlike American, charges $150 for every change to an award ticket and no changes are allowed once the itinerary has begun (except due to schedule changes or irregular operations). It is probably a safe bet that change fees will be introduced to Aadvantage soon, potentially creating a double whammy of increased prices and new, high change fees. American Airlines has always had the right to change or devalue the Aadvantage program. Other airlines have also devalued their programs, but until recently, only Avianca (a Colombian airline) had suddenly devalued their LifeMiles program overnight, apparently following the example of Hugo Chavez devaluing the Venezuelan bolivar. Maybe American Airlines has been spending too much time in South America and the culture has rubbed off, but you can now add Aadvantage miles to the list of untrustworthy currencies. I personally recommend that you view the recent devaluation as a “warning shot” and empty your Aadvantage account now. I woke up this morning to the news that American Airlines has devalued their Aadvantage program overnight with no prior notice, and in tandem with this, US Airways has also done the same. It is rare for a devaluation to occur with no prior notice, in a similar fashion to overnight devaluations of Argentine pesos and Venezuelan bolivars. These devaluations are actually worse, though. They hurt because they not only raise the number of miles required for award travel, but they also have introduced restrictions that can make miles even harder to use. One of the biggest historical advantages of American Airlines award tickets was the ability to use a stopover on a one-way award. While this could be used to obtain a “free one-way” trip wherein your final destination is a different city than you originally intended, it could also be used for short stopovers which are helpful if you could not find a continuing flight from the gateway within 24 hours. If American had wished to close the “free one-way” loophole, introducing a maximum length of stopover (allowing for short stopovers only) would have been a fairer way to do it. Unfortunately now, if an award flight to your final destination isn’t available from the gateway city within 24 hours, you’re out of luck. You’ll either have to book a paid onward itinerary or try to find availability on another date. Ah, availability. Now there’s the rub. American Airlines has introduced a third tier for award travel, which likely means that award tickets at the “saver” level (which are really the only award levels that deliver good value for redemption) will be even further cut. It’s already difficult, if not impossible, to find award tickets at the “saver” level. This will become even more difficult when stopovers are no longer permitted. Even awards that cost more because of the numbers of stopovers they allow have been eliminated. Mileage-based Oneworld awards (which people on round-the-world or intra-European itineraries found particularly valuable because they allowed unlimited stopovers) are no longer redeemable. Finally, some trips will now take more miles, assuming you can find availability in the first place. US Airways Dividend Miles business class awards to North Asia now require 110,000 miles, up from 90,000 miles. “Aanytime” awards redeemed during periods newly defined as “peak” will now cost 5,000 miles more. For some domestic travel, coach seats will cost up to 50,000 miles each way! The goal posts have moved yet again. Overnight, the American Aadvantage and US Airways Dividend Miles programs just became a lot less valuable. The lack of prior notice is an abrupt reminder that miles (in any program) are best earned and spent immediately. They are a depreciating currency, so holding large numbers of them will only result in eventual losses and the devaluation cycles are becoming ever more rapid. Points programs and their promises that “your miles are secure” are not credible, so “earn and burn” as quickly as possible. I think this just about sums it up: you can probably expect that the least trustworthy and customer-friendly policies of both airlines will be combined in a headlong race to the bottom. It’s unfortunate to see this, but was hardly unexpected. If you have Aadvantage miles, I recommend using them now because this is likely not the only devaluation that will occur. On my current trip to Europe, I booked rooms with two different DoubleTree properties and have already had problems with both of them. I’m a pretty relaxed guy, and I usually am not the sort of person to complain too much (after all, I have flown around the world in Seat 31B). What makes me write about a problem publicly? 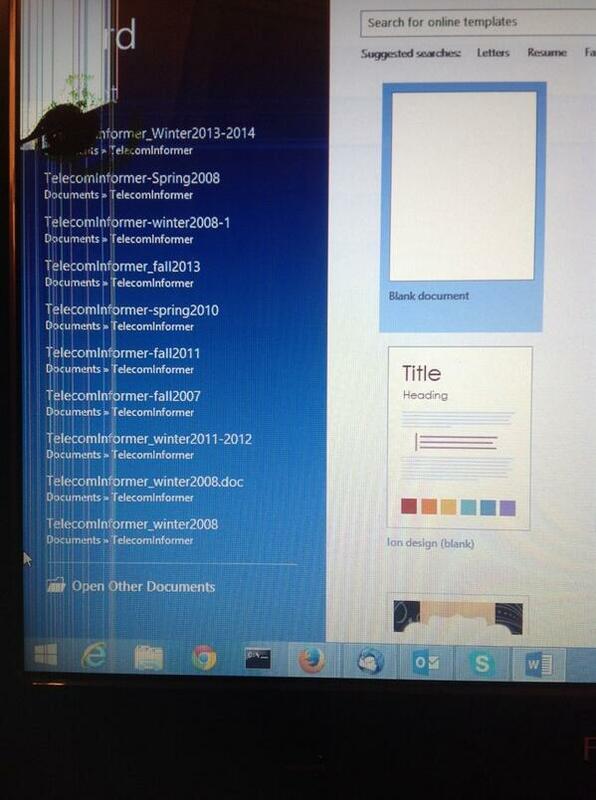 A broken laptop and an exotic “dynamic currency conversion” swindle, both perpetrated by the same hotel chain (DoubleTree by Hilton), occurring over two different properties, and in both cases, complete failure to solve the problem amicably after complaining about a perfectly reasonable issue privately and giving the property multiple chances to resolve the problem. First, the broken laptop. After waiting 3 months for Fujitsu to repair my laptop (never buy a laptop from Fujitsu, their repair service is horrible), I got it back and it was repaired. In particular, I was pleased to note that they replaced the LCD. I used the laptop for a day with no problems, hopped on a plane, traveled to Rotterdam, continued to Amsterdam, and used the laptop just outside the DoubleTree Amsterdam (again with no problems) to verify the address of the Sixt rental car return facility (whose sign outside the hotel I had missed). Nothing was wrong with my laptop when I put it into my bag and handed it off to the bell desk. Note the physical damage in the exact size and shape of the back of a broom handle, or a vacuum cleaner handle. I immediately went to the front desk and showed the damage to the on-duty manager. However, she refused to take immediate responsibility or to arrange for repair of my laptop, instead saying that she would conduct an investigation. I gave the DoubleTree the benefit of the doubt, but naturally the results of the investigation are that the DoubleTree refuses to take responsibility. Apparently they believe that my laptop display broke on its own, or maybe it was damaged by space aliens. Either way, they will not be paying to repair it or assisting me any further. A transaction in GBP is circled. Hilton customer service blamed my bank for billing me in dollars, rather than pounds. However, my bank (Capital One) doesn’t have anything to do with the currency in which I was billed. You can see that on my statement, I bought a plane ticket from a UK-based travel agency and was properly billed in pounds, which was converted by Capital One to dollars (I use a Capital One card for foreign currency transactions because they do not charge a currency conversion fee). DoubleTree, as you can see, billed me an inflated price in dollars. It’s an outright rip-off. I never agreed to this. If you are considering booking a stay with DoubleTree (or any Hilton property), or signing up for any Hilton credit cards, I suggest you seriously consider whether this is a good idea. I consider integrity very important in business, and to experience a breach of honesty and integrity at two separate DoubleTree properties is a pattern that seriously leads me to question my loyalty to Hilton. 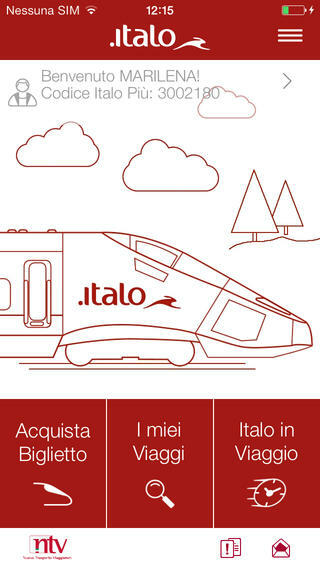 Save On High Speed Trains In Italy – There’s An App For That! Italy, surprisingly, has a well-developed network of high speed trains. These aren’t quite as fast as the Chinese trains I was used to when living in Beijing, but they do reach 247KM/hr–a respectable speed. Most visitors just go to the train station and buy a ticket, but you can actually save money by buying your tickets in advance using a mobile phone app. Just search for your trip, and you’ll see a schedule with prices. If you buy your ticket a few days in advance, you can save 50% or more. For example, the train I took today from Florence to Rome cost 43€ when purchased today at the station, but the fare was only 20€ when purchased 3 days ago via the app.